The Saskatoon Blades just wrapped up their second straight weekend of playing 3 games in 3 nights, 5 of which were played on the road. It’s certainly been busy for the blue & gold on the ice and no shortage of news off of it. 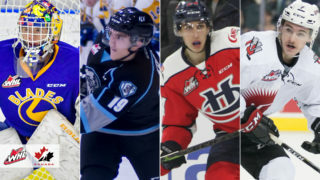 The WHL will take a brief break this week as their “All-Star” team gets set for a two game set with Team Russia in the CIBC Canada Russia series taking place on Monday and Tuesday in Kamloops and Langley, British Columbia. Kirby Dach will be suiting up for the WHL and the 17-year-old pivot heads into the series hot. Dach has 8 points in his last 4 games, 32 in total on the season sitting 3rd in WHL scoring. Dach is one of three 2001 born players representing the WHL at the Canada Russia Series, and is the only player in the top 10 league scorers under the age of 19. 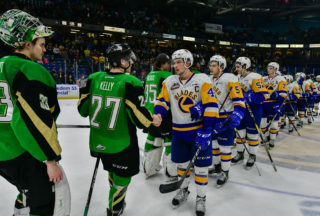 Dach won’t be the only player in the series to have played for the Saskatoon Blades. 19-year-old blue liner Mark Rubinchik will be playing for Team Russia as they do a 6 game tour through the CHL. Rubinchik spent two seasons with the Blades but signed a professional contract with Salavat Yulaev Ufa of the KHL in the off-season. Rubinchik has been playing with Toros Neftekamsk, a minor league affiliate of the KHL club, and has 2 points and 29 PIM in 7 games this season. 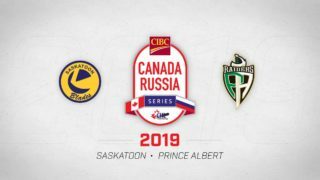 Game 1 of the Canada Russia series goes at 9:00pm local time in Saskatchewan on Monday night and will be available on Sportsnet. The man who lead the Blades in scoring for the past two seasons is making a name for himself already in his young professional career. Braylon Shmyr finished last season with the Allen Americans of the ECHL after the Blades finished the WHL regular season in March. Shmyr earned a contract to come back this season, and he’s off to a fantastic start. Shmyr put up 7 goals and 7 assists in the first 8 games of the season to be among the league leaders in points, earn the league rookie of the month award, and a PTO with the AHL’s Springfield Thunderbirds, who are an affiliate of the Florida Panthers. Shmyr dressed for his first AHL game on Saturday with the T-Birds and will have another chance to earn a full time spot when Springfield visits the Lehigh Valley Phantoms on Friday. Another Blades alumnus is making a name for himself in the American Hockey League. Saskatoon’s Cam Hebig is currently leading the Bakersfield Condors in scoring with 5 goals and 5 helpers through 8 games. Hebig sits 5th among rookies in points in the AHL. The Condors are the AHL affiliate of the Edmonton Oilers. Across the pond, Darren Dietz is off to a strong start in the KHL sitting 7th in league scoring. The 25-year-old defender has 25 points in 23 games with Barys Astana. Dietz played 220 games with the Saskatoon Blades from 2009-2013, collecting 131 points along the way. 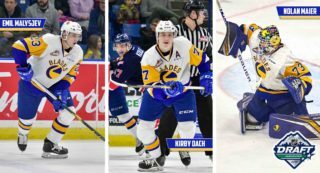 If Kirby Dach is the present, Cameron Hebig and Braylon Shmyr are the past, then this year’s 16-year-old rookies Kyle Crnkovic and Aidan De La Gorgendiere are definitely the future. The two youngsters are currently away competing in the World U17 Challenge in New Brunswick; their first international experience each. Crnkovic and De La Gorgendiere are both on Canada Black for the week long tournament which opened Saturday, Their first game was a 5-4 overtime loss on Sunday afternoon to Canada White. Their next game goes on Monday against Czech Republic. 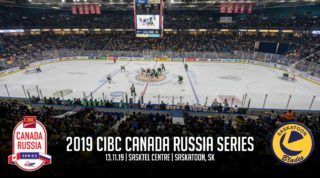 With the Bridge City hosting the Four Nations Cup at SaskTel Centre, the Blades will continue their road heavy schedule for November on Friday when they visit the Medicine Hat Tigers for the first time this season. On Saturday they visit the Kootenay ICE. The only home games this month are Tuesday the 13th vs Medicine Hat and Saturday the 17th vs Tri-Cities. A few milestones were surpassed over the last week with several more on the horizon. Congratulations are in order for Zach Ashton and Majid Kaddoura who picked up their first career points in the WHL. Kaddoura had an assist back on October 26th in Red Deer while Ashton also had a helper on Friday night in Moose Jaw. Brandon Schuldhaus played his 200th career game on October 28th in his hometown of Calgary– the same place he scored his first career goal in the league. Riley McKay, who leads the league in fighting majors with six, is now a member of the 300 career PIM club. And Max Gerlach is now just two points shy of 200 in his career. Lastly, if you missed out on the Blades custom designed CCM sticks for Stick It To Cancer Night last week, stay tuned as the remainder of the sticks will be available through an online auction later in the week.